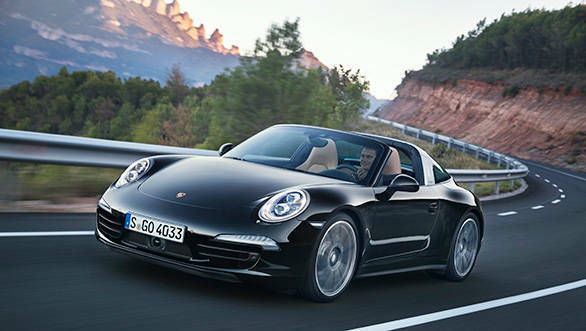 Porsche India has launched the latest generation of its iconic 911 model, the Targa, for the Indian enthusiast. There will be two models on offer, the Targa 4 and the Targa 4S. The new Targa is designed by using the iconic cues from the original 1965 model and features the quintessential Targa bar that forms the B-pillar as well as the beautifully crafted rear windscreen. 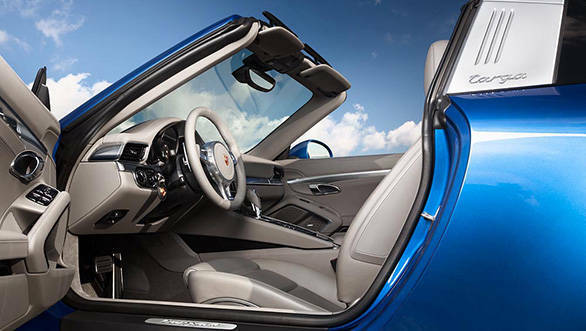 One of the most distinctive marks that the new Targa comes with, is its convertible soft-top which will fold away behind the rear seats in 19 seconds at the mere push of a button. Porsche say that the whole process is a spectacle in itself. At the launch, Anil Reddy, director, Porsche India said, "The 911 is a sportscar which has won more races than any other and, in this latest evolution, I believe it has never looked more spectacular. In the 911 Targa, we see the ultimate in driving dynamics come together with stunning design and the very latest in ground-breaking roof technology. The car's arrival here in India signifies a new chapter in the legendary model's evolution and I am incredibly proud and excited to welcome it." The cars will be powered by Porsche's flat six engines and come with the seven-speed dual clutch transmission PDK as standard. However, the engine displacement and power output will differ for both models. 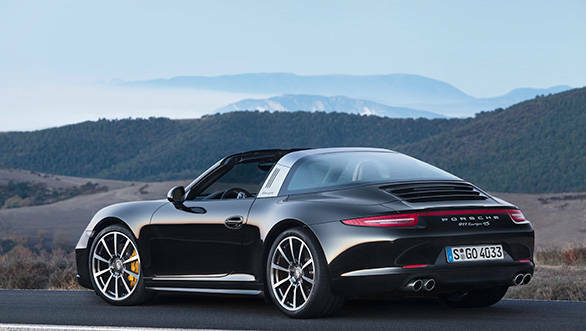 The 911 Targa 4 will feature a 3.4-litre engine that pumps out 350PS of power. The addition of the optional Sports Chrono Package will see the Targa 4 cross the 100kmph mark in 4.8 seconds. The 911 Targa 4 S gets a 3.8-litre flat six that produces 400PS of power and 0 to 100 time of 4.4 seconds if equipped with the Sports Chrono Package. Porsche claim a top speed of 296kmph for the 4 S. In addition, customers can also opt for a Carrera S powerkit that bumps up power by 30PS. The new 911 Targa feature Porsche's Traction Management all-wheel drive system which benefits from a rear axle that has been widened by 22mm as well as tyres that are now 10mm wider than the previous model. Porsche say that the new cars deliver good fuel economy due to the incorporation of technologies such as electrical system recuperation, auto stop/start and map controlled thermal management of the engine coolant. 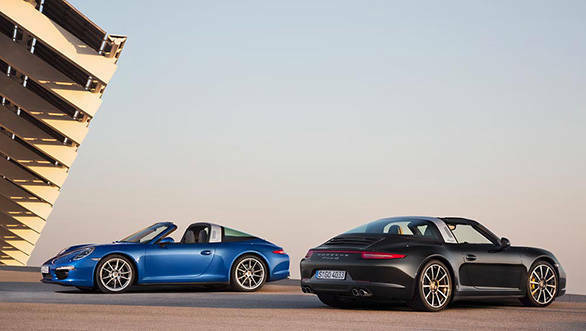 The New 911 Targa 4 and Targa 4 S are available at all Porsche centres in India.